Hamas is re-evaluating its regional alliances, amid reports of a forthcoming visit to Iran by its Political Bureau Chief Khaled Meshaal. Meanwhile its critics say it should focus on putting the Palestinian house in order. Certainly, there is no shortage of challenges facing Hamas in 2015. Al-Shabaka policy member Belal Shobaki addresses three of the most serious: The movement's reluctance to amend its charter even though it recognizes its weaknesses and despite some moves away from it; its inability to develop an effective mobilization strategy in the occupied West Bank since the 2006 legislative elections; and the difficulty of rebuilding a network of regional relations that preserve its existence as a resistance movement rather than as a political party. Why Doesn’t Hamas Change its Charter? The question of how to deal with its Charter has challenged the movement since its decision to participate in the 2006 legislative elections and its subsequent victory, which led to fears that Hamas would end up controlling the Palestinian Authority (PA) rather than being contained by it. Many observers continue to overlook the extent to which Hamas' political discourse and actions are not necessarily determined by its Charter. At the same time, it has not taken any explicit steps towards amending the charter, treating it as if it were a sanctified text. There are many instances where Hamas has not adhered to the Charter, despite the ongoing debate about how far it can go in disregarding it while still being an integral part of the Muslim Brotherhood and its ideology. Take, for example, Meshaal's statement, "Today, we are a national liberation movement which has nothing to do with the Muslim Brotherhood." Meshaal also told CNN that the movement had two options: either the international community forced Israel to “establish a Palestinian state within the 1967 borders with the right of return, which is something we, the Palestinians, have agreed upon as a common program - or Israel continues to refuse this and we continue to resist." This statement contradicts the clear provisions of Hamas charter. Member of Hamas’ political bureau Moussa Abu Marzouk, went even further in an interview with The Jewish Daily Forward in which he said that the Charter did not govern the movement, and that many members were talking about modifying it because several of Hamas’ present policies contradict it. Hamas’ political bureau leaders abroad were not the only ones to disclaim the charter. Gaza-based Hamas leaders such as Ghazi Hamad, who has participated in intra-Palestinian reconciliation talks, also confirmed that the charter was subject to discussion and evaluation in opening up to the world. Hamas spokesman Sami Abu Zuhri urged that focus be shifted away from the Charter and that Hamas be judged by the statements of its leaders. Beyond the statements of its political leadership, Hamas’ signing of the 2005 Cairo Agreement documents the contradiction between the movement's Charter and its actions. The agreement’s provision for Hamas accession to a reformed Palestinian Liberation Organization (PLO clearly contradicts Article 27 of the charter, which declares that participation in the PLO requires its adoption of Islam. In 2006, Hamas agreed to sign the Palestinian prisoners’ National Conciliation Document even though it provided for "focusing resistance in territories occupied in 1967". Accepting to halt military operations in the Palestinian territories occupied in 1948 was yet another "regression". In 2007, Hamas signed the Mecca Agreement on Palestinian national conciliation and went on to lead a government that pledged to respect the agreements signed by the PLO even though the Charter deems renouncing any part of Palestine a violation of Islamic law. In 2012, despite the deepening intra-Palestinian rift, Hamas issued an official statement of full support for PA Chairman Mahmoud Abbas in his quest to win Palestine the status of an observer state in the United Nations General Assembly even though this step was based on accepting previous UN resolutions on Palestine - resolutions that are unacceptable under the Hamas Charter. The above examples show the extent to which Hamas has changed over time and effectively neutralized its Charter. Thus, critics and policy-makers need to judge Hamas, especially with regard to Israel, through its actions rather than its three-decade old Charter. However, the question remains: Why doesn’t Hamas amend its Charter instead of violating it? Perhaps the most important reason is its fear of the backlash from its membership base, which has been molded and socialized using an Islamic discourse delivered through a medium of communication called "Shabakat Al-Dawa" (the advocacy network). Through this network, Hamas used religious language not only to socialize its members but also to present its political positions in terms of halal and haram, or permissible and impermissible. The religious education required for political membership has been the most important factor in the movement’s cohesion but it has become a burden, limiting Hamas flexibility in attempting to change its previous, religiously justified, positions. Any renunciation of the movement's traditional attitudes grounded in religious education might cast doubt on the credibility of its elite. In addition, it could also drive members away from Hamas and/or to join other Islamic movements. Hence for example, Hamas' insistence on using terms like "focusing" instead of "confining" resistance to the territories occupied in 1967 in the 2006 National Conciliation Document - terms that allow for interpretations that are more palatable to the movement's base. Hamas' fears are not baseless. Rather, they are rather based on the experience of political Islamic movements in Palestine, particularly since signing the Oslo Accords. In addition, there is no Hamas leader who could singlehandedly make a decision as radical as amending the Charter without risking rifts in the movement. What is in effect a crisis of leadership has been exacerbated as many Hamas leaders, long perceived as revolutionary pious figures that faced the same conditions as the rest of society, have become ministers and parliament members. The fact that they may suffered before and since they assumed their positions does not protect them from the appearance of acting in their own interests. As Hamas insists on functioning as a resistance movement as well as a social movement and a political party, it must take a bold step to revise its Charter, particularly given its wish to seek power as a political party. The movement must make the necessary efforts to introduce the subject to its base. Amending the Charter is not about making concessions to Israel, but rather amending those provisions that contradict its political discourse, such as requiring the PLO to adopt Islam as its basis before Hamas can join. Should Hamas choose to amend its Charter, it would achieve a measure of harmony between its texts and its actions and ease the pressure exercised by Palestinian and international parties. Hamas should be motivated to move forward with Charter amendments by the General Court of the European Union's recent decision to lift the movement from the terrorist organizations list. Hamas faces a second major challenge, namely losing its traditional bases in the occupied West Bank. Hamas’s techniques for political socialization and recruitment differ from those used by other Palestinian factions, especially Fatah. The movement uses mosques as a primary venue for political socialization to pave the path to political affiliation. It organizes courses in Islamic law as well as recreational activities to prepare students to join the movement and to impart Hamas' principles, doctrines, and political and social views. Hamas has also mobilized supporters through affiliated educational institutions. The movement has many private schools that provide free or semi-free education, particularly at the primary level, through charitable organizations and teachers who are often affiliated with Hamas. In this way, Hamas is raising an ideologically affiliated generation that is predisposed to becoming politically affiliated with the movement. This explains why, for example, members of the Islamic bloc in Palestinian universities join Hamas in an orderly fashion as soon as they enroll in the university, without the need for any active recruitment. Hamas has also expanded its supporters' base by working as a social movement in Palestinian society. It founded numerous charities that provide health and education services as well as economic aid to citizens. Many people benefited from the unrestricted services of these institutions, increasing Hamas' popularity. The zakat committees and charities’ effectiveness of in winning the public is later reflected in political support and votes in the legislative and municipal elections. Given that Hamas focuses on youth, it has also paid attention to sports and other youth institutions. It is engaged in many sports clubs and scout movements in order to advance the socialization process and to attract youth to mosques. In addition, Hamas presents itself to the Palestinian public through its own media outlets, which have evolved from printed publications to local newspapers, radio and television stations, and on to electronic media and satellite stations, easily spreading its thinking to Palestinian and Arab households. However, these assets were degraded in the West Bank after Hamas took over the Gaza Strip, seriously affecting its ability to guide its members and supporters or to recruit new members. Raids on many Hamas institutions by armed groups affiliated with Fatah after the 2006 elections worsened in the wake of the 2007 clash in Gaza. Concurrently, Israel launched a campaign to shut down Hamas institutions in the West Bank, confiscate their contents and/or arrest their operators. The Israeli attacks peaked in 2008 but crackdowns and harassment campaigns by Palestinian security forces continue in the West Bank with attendant human rights violations. Thus, after years of Palestinian division, Hamas finds itself with virtually no institutions in the West Bank. The mosques, which represented the movement’s cornerstone, are no longer under its control but are rather under tight surveillance as are its affiliated educational and cultural institutions; many of their staff have been replaced. Activities can no longer be organized without a license from the Ministry of Awqaf (religious endowments), a ministerial post that was later entrusted to Mahmoud al-Habbash, one of Hamas’ worst enemies. The ministry has even imposed a uniform Friday sermon on mosques. Despite the loss of many of the vital institutions and traditional platforms Hamas used for political socialization and recruitment, it was not until recently that the effects on the movement’s structures began to be felt. In order to rectify the situation, Hamas has resorted to “modern” means such as social networking and satellite channels. However, the best these outlets can do is mobilize supporters around the movement’s achievements, especially at the military level, or mobilize sympathizers when Gaza is under Israeli attacks; they are insufficient for the purposes of socialization and recruitment. The question for Hamas is whether these outlets are enough to sustain support from the masses and to maintain discipline among its members, a characteristic that has distinguished the organization since its inception. Thus, in spite of having established a base that rivals Fatah’s, its potential is weakening with every passing day. This has created an existential crisis for Hamas in the West Bank, a crisis exacerbated by challenges from new or existing Islamic political movements, not to mention opportunistic attempts by "secular" political movements and even left-wing political parties to use religious discourse. Hamas cannot address this challenge until it can rejuvenate its institutions for socialization, which will never happen under the security structure currently in place in the West Bank. Indeed, Hamas is unlikely to be able to solve this problem without an end to the Palestinian division and the restoration of national cohesion. 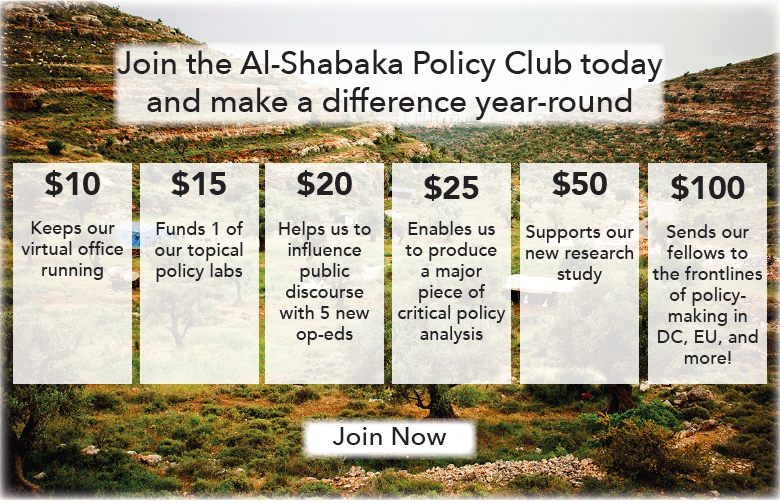 Given the fact that the Palestinian cause is tied to many regional issues, and that many regional and international powers intervene in the Palestinian issue, Hamas has long had political bureau members abroad, talking and negotiating in the name of the movement, mobilizing Arab and Muslim public opinion, and securing funds and logistical support. Nonetheless, the golden age for Hamas abroad has faded. In Syria, it paid the price for its stance on the revolution and opposing President Bashar Al-Assad’s policies by leaving the country and losing everything it had built up over the years. It even lost Iranian support, which had been the crucial factor in the development of Hamas’ capabilities within and outside Palestine. Although the movement has kept the lines of communication open with Hezbollah, its loss of Iran, its biggest ally, constituted an unprecedented setback. The Muslim Brotherhood in Egypt and Tunisia proved too weak to be a regional sponsor of Hamas and lost its leadership position in both countries soon after the uprisings, albeit much more seriously in Egypt where President Abdel Fattah Sisi deals with Hamas as a banned movement with a terrorist military wing. Hamas’ sponsors in other countries, notably Qatar and Turkey cannot replace Syria, Iran and Hezbollah because of their ties with the United States and Israel. Hamas’ political bureau members have an uncertain status in these countries since its presence could be ended due to a regional deal, as happened to those Muslim Brotherhood figures who left Qatar in September 2014 after its rapprochement with Saudi Arabia. Earlier this year, Qatar denied news reports that it intended to expel Khaled Meshaal and the Hamas leadership. Israeli pressure is also applied to host countries, for example when Israel complained to NATO about Turkey, accusing it of hosting security cells led Saleh al-Aruri, a founder of Hamas’ military wing, the Izz al-Din al-Qassam Brigades. Given the gravity of the situation, some Hamas leaders have maintained communication with Iran despite the movement’s position on Syria. Indeed, some analysts interpreted the visit by Hamas leader Ismail Haniyeh to Tehran in 2012 as a split in the Hamas leadership between staying in Qatar and restoring relations with Iran. Until recently, the advocates for strengthening the relationship with Qatar and Turkey were the stronger camp. However, the situation is turning in favor of those advocating a stronger relationship with Iran. In any case, the communication with Iran has never stopped completely thanks to intermediaries in Hezbollah and the Islamic Jihad Movement. The push to restore relations with Iran was taken further in a visit by a high-profile Hamas delegation headed by political bureau member Mohammad Nasr, international affairs director Osama Hamdan, and Hamas representative in Iran Khalid al-Qaddumi. Although no detailed account of the meeting was produced regarding progress in the relationship, the visit itself is an indication of Hamas’ determination to rectify its policy. Most commentators have focused on Hamas’s need for a renewed influx of funds as well as technical and military support. However, it is also in Iran’s interest to maintain the relationship with Hamas. The strongest likelihood is that Hamas will revive its old ties with Iran and there are reportedly promises that Iranian support will resume for Hamas. Certainly the other options are not favorable from Hamas’ perspective: Security in Sudan is fragile; the recent developments in Yemen take it completely off the table; and the situation in Tunisia has changed after the last parliamentary and presidential elections. Moreover, the relationship between Hamas and the Jordanian regime has lately become estranged even after the Qatari attempt to appease the situation. In short, Hamas strongly feels the need to nurture its external relationships. Abu Obeida, the spokesman of the Izz al-Din al-Qassam Brigades, expressed the movement’s thanks to Iran, Qatar and Turkey during Hamas’ anniversary celebrations in December 2014. However, Hamas faces the challenge of maintaining a balance whereby it sustains its special relationship with Qatar and Turkey as key countries in the region but not as an alternative to its most crucial ally, Iran. There may be further consequences if the Qatari-Egyptian reconciliation moves forward or the policy of Saudi Arabia changes with the newly-inaugurated King Salman. The jury is out as to whether Hamas can overcome the three major challenges discussed above. It is clear that, despite its reluctance to amend its Charter because it fears the reaction of its members, Hamas cannot exercise effective leadership unless its takes the bold step of bringing its doctrine into line with its political positions. And, although Hamas has managed to maintain its support base in the West Bank, the loss of many of its traditional platforms constitutes a strategic threat, especially given that its forced dependence on electronic tools may achieve only temporary popular support. Whether or not Hamas can identify other tools to grow and sustain its base, it is unlikely to find a lasting solution without a serious investment in intra-Palestinian reconciliation. 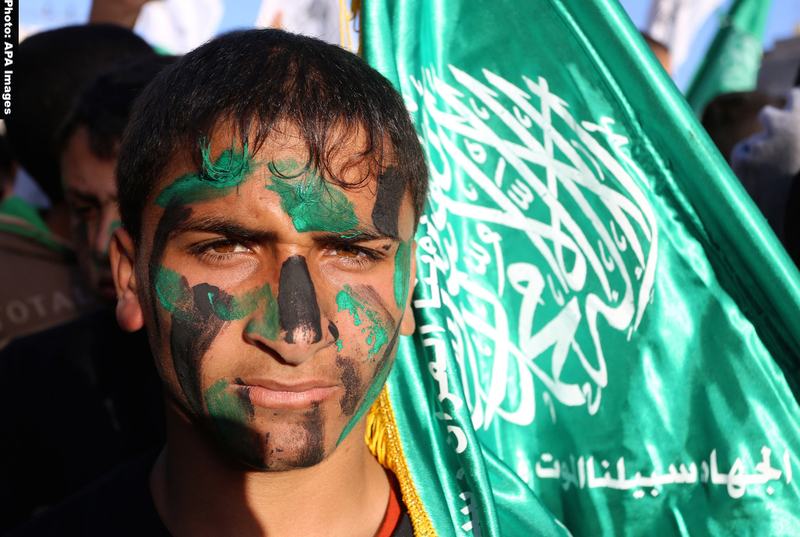 Perhaps the most difficult dilemma Hamas faces is in finding a regional sponsor. It will require a careful balancing act to restore the relationship with Iran without forsaking relations with Turkey and Qatar, particularly if Hamas is interested in a network of regional relations that preserve its existence as a resistance movement and not just as a political party. Al-Shabaka Policy Member Belal Shobaki is the Head of the Department of Political Science at Hebron University, Palestine. He is a member of the American Political Studies Association. He has published on Political Islam and identity and is now working on a research project on Palestinian-Israeli interaction in the old town of Hebron. 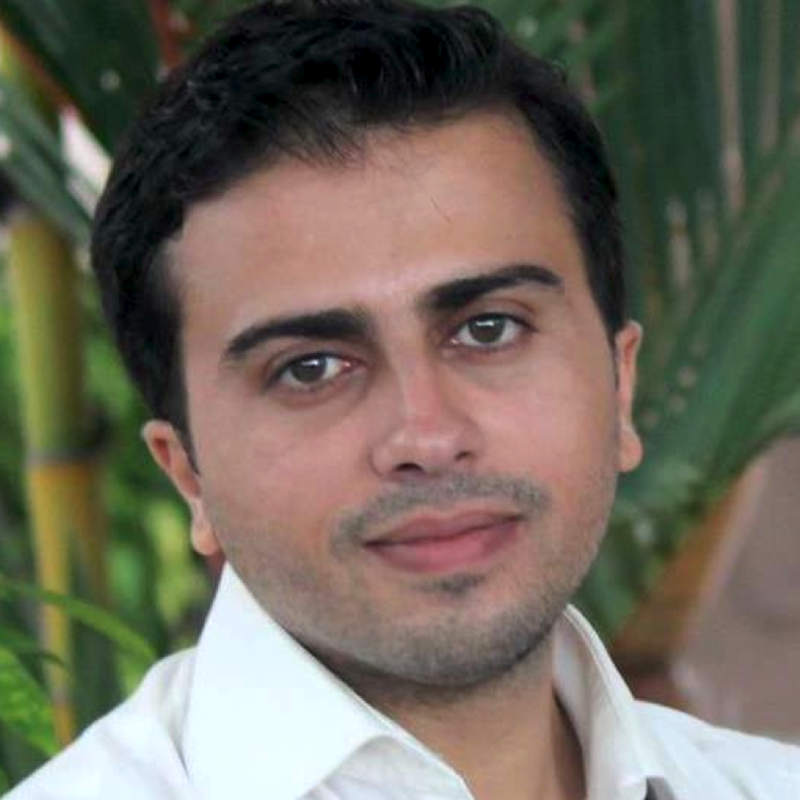 Shobaki is the former Editor-in-Chief of Alwaha Newspaper in Malaysia. He was also a Lecturer in the Department of Political Science at An-Najah National University and the Head of the studies Unit at the Palestinian Centre for Democracy and Studies.